Cold enough? The last thing you should be doing during a winter snow storm is having to worry about roof leaks caused by ice dams! That’s why a metal roof is a perfect option for you! Nationwide, roofing contractors receive hundreds of calls a month from owners looking for solutions to end problems during the winter freeze and thaw cycles that can abuse certain roof systems. Ice dams form during these cycles and create a tremendous amount of weight, lift shingles and cause roof leaks. Ice dams are mainly caused by heat loss that escapes out of the owners building at the eaves of the roof. 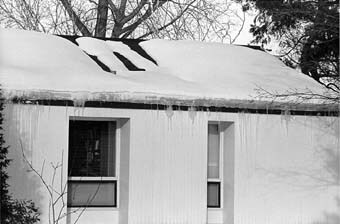 These ice dams are adding to energy costs and shortening the lifecycle of the roof system. The solution requires adding additional insulation at the eaves and installing a metal roof. No Ice dam for you! Residential and commercial metal roofing has continued to gain market share for a number of reasons, they are energy efficient, they qualify for a tax credit and most importantly their ability to resist weather ailments such snow, acid rain and hurricanes. Regarding snow, the large smooth surface combined with a PVDF paint system which is the perfect combination to get the snow to slide off the roof helping to eliminate ice damming. The dam grows as it is fed by the melting snow above it, but it will limit itself to the portions of the roof that are on the average below 32°F. So the water above backs up behind the ice dam and remains a liquid. This water finds cracks and openings in the exterior roof covering and flows into the attic space. From the attic it could flow into exterior walls or through the ceiling insulation and stain the ceiling finish. Moisture entering the home from ice dams can lead to the growth of mold and mildew. These biologicals can cause respiratory problems. It is important that the growth of mold and mildew be prevented. 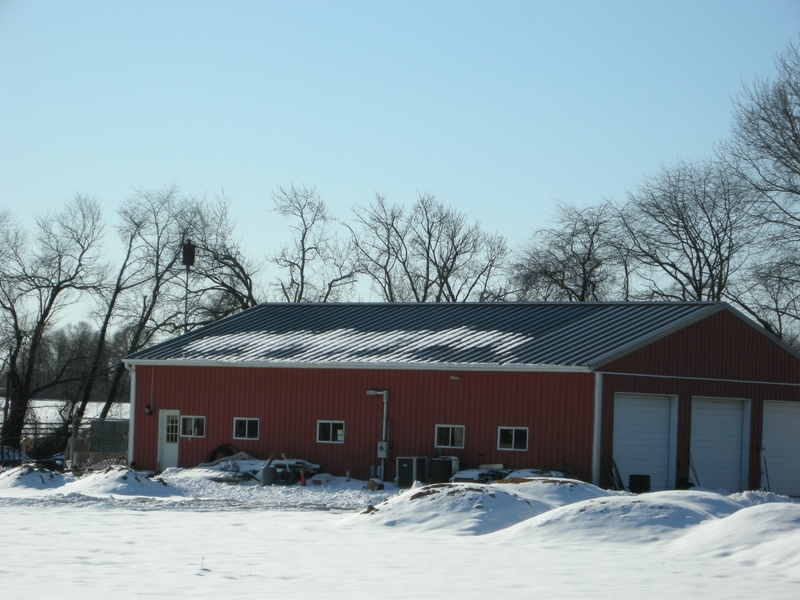 There are a few types of roof systems that can take the abuse that old man winter throws at them. Consider using a metal roof with a concealed fastened system like a standing seam or a snap lock system. Standing Seam is a traditional product that is installed using internal clips and seamed together. The snap lock simply snaps together using an internal clip system, which provides owners with a completely water tight roof system. Each panel is installed as one continuous product from eave to ridge enabling snow & water shedding. Metal roofs weigh about a pound per square foot and therefore will provide less weight on a structure than a traditional asphalt roof. Although metal roofs cost a bit more than traditional asphalt roof system initially, the life cycle cost will be a lot less. 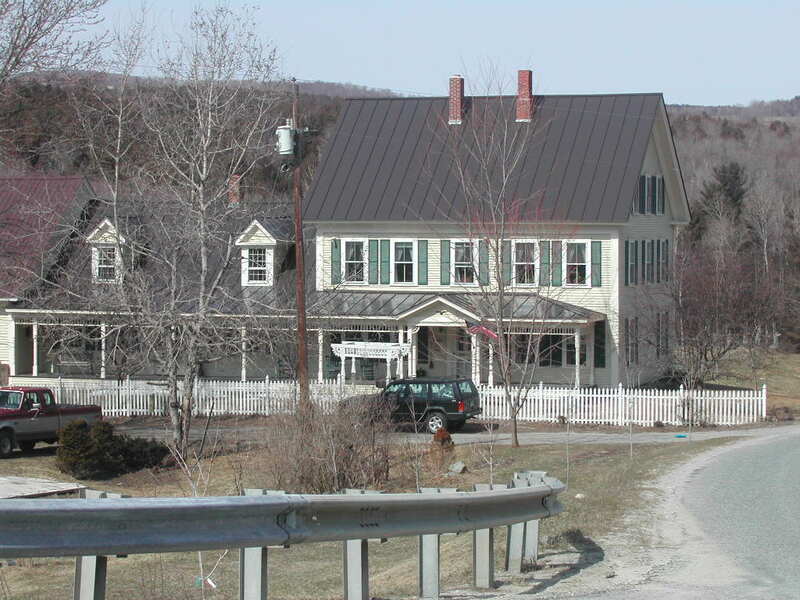 A shingle roof may need to be replaced 2 to 3 times before a metal roof. Metal roofs will provide years of maintenance free roofing, are offered with extended paint warranties, are energy efficient, are recyclable, resist acid rain, and are wind resistant. It will be the last roof that many owners will ever need to install.